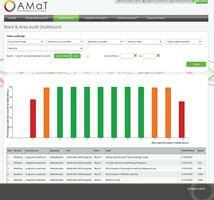 Stockport NHS Foundation Trust drives its quality aspirations with AMaT. At Stockport NHS Foundation Trust, AMaT is becoming a single reference point for quality improvement, enabling nursing and clinical staff to more easily engage in such activity across multiple areas of care. Organisation-wide quality improvement, service evaluation and audit activities are being supported by Meantime’s flexible and intuitive Audit Management and Tracking tool, says Deborah Kershaw, the trust’s head of outcomes and assurance. “With AMaT, we have a system to capture what activity is taking place, one that gives people ownership and puts names against actions, and one that provides visibility of how projects are progressing and who has completed what,” says Deborah Kershaw, the trust’s head of outcomes and assurance. This visibility and action-led approach means that AMaT is supporting clinical audit, quality improvement, service evaluation, NICE compliance and even CQUIN recording at the trust. Meantime IT’s simple and flexible technology is becoming the cornerstone of quality improvement; so much so that it will be the agreed repository for capturing quality improvement projects agreed as part of the new quality faculty being developed at Stockport. AMaT’s breadth of use was not as first planned. In development at the trust since late 2017, the system was originally intended to replace a legacy audit tool that was not keeping pace with trust needs. The clinical audit team, who saw that it could coordinate clinical audit across the trust and reduce reliance on manual processes and email, had planned a staged implementation. That changed with the arrival of new chief nurse Alison Lynch in 2017. Her immediate ambition was to engage staff in the delivery of high-quality patient care. One early initiative was to get the Accrediation for Continuous Excellence (ACE) ward accreditation scheme up and running. The matron-led ACE programme sees wards undergo rigorous evaluation covering 20 different topics. Wards are then awarded a performance rating and are then invited to identify the actions they need to take to improve the quality of care. Technology to support ACE was already under consideration. Deborah could see how AMaT could help fulfil the ambitions of the chief nurse and save the trust a five-figure sum. The decision was made to use the technology for the ACE programme, and AMaT had arrived. ACE is now an ongoing programme of quality improvement at the trust, which is already having a positive impact. “It helps raise pride in the ward, and in its achievements,” says Deborah. Staff are sharing their ACE success stories on Twitter, showing how they are visibly and measurably improving the quality of care they provide. AMaT is also being used to support a more rigorous approach to the monthly ward-based quality assessments that were in place. With AMaT, ward audits can be better managed, monitored and scheduled. Teams are guided through the process of checking across 12 key areas such as hand hygiene, medication, falls assessment, and pain management. Nursing teams can see in real-time how compliant they are with quality standards as soon as they enter the data. They can then use the intuitive AMaT interface to record the actions they intend to take and assign ownership and due dates against those tasks. Dashboards can be printed out and displayed outside each ward, indicating positive achievements and areas for improvement. By making the audit process easier to perform for nursing teams, AMaT has helped to increase the quantity and quality of ward audits. Compliance with national clinical standards is also being made more straightforward with AMaT, as the system makes the latest NICE guidance available for its customers. The trust is also using AMaT to address issues raised by the Care Quality Commission (CQC). 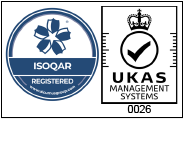 In addition to supporting regular spot checks, AMaT is to be the central repository for the trust’s safe high-quality care improvement plan, Stockport’s response to a recent CQC report. Having all such activity in one place, and making it visible to all staff, means that Stockport has a much better idea of what quality improvement activities are taking place. “Just by knowing what’s out there has really improved things,” says Deborah. As well as saving money and supporting key organisational priorities, AMaT is saving time for staff. Further benefits include the ability for trust staff to register direct on to the system; now, there are over 1,000 registered users. The system is cloud-based, so that access to documents does not depend on individual permissions – a real bugbear of previous approaches. Auditors can register audits on the system, and update as actions progress knowing that their activities are being recognised. Action plans no longer sit in people’s email accounts; overdue actions can be highlighted and are reported to business group quality boards. Throughout this, tech support from Meantime has been responsive and helpful, and the trust can feed its own development suggestions to the supplier. Unsurprisingly, AMaT's role in supporting quality at the trust is expanding. It is to act as the central repository for a new quality faculty being set up to drive quality improvement projects, so that teams across the trust can work together to improve care, deliver efficiencies and potential savings. Also to provide visabilty and transparancy of activity taking place. The techhnlogy has enabled a small team to support an impressive amount of quality improvement work at the trust, although this has not been without its challenges. Deborah sees that AMaT has made a huge impact, and its future potential is impressive. Already in use for infection prevention, the system is already loaded with CQC Key Lines of Enquiry (KLOEs). Shortly it will be used to capture evidence and compliance levels, support information governance audits and act as a quick reference point for evidence required for some FOI requests. Ultimately, AMaT could even support a consistent approach to audit and quality improvement across the whole health economy. The potential for AMaT is clear - but only because it provides quality-driven staff with the right tools to finish the job. It provides the technology and support that nursing and clinical staff need to measure current practice and to capture and monitor actions to support them to transform how they deliver care.